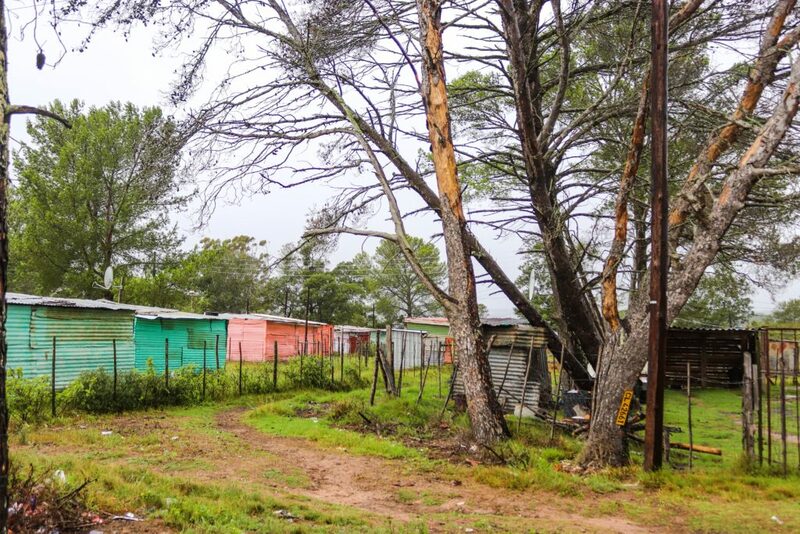 “In reality, the municipality doesn’t take the rural areas very seriously,” says Zola Mjadu. 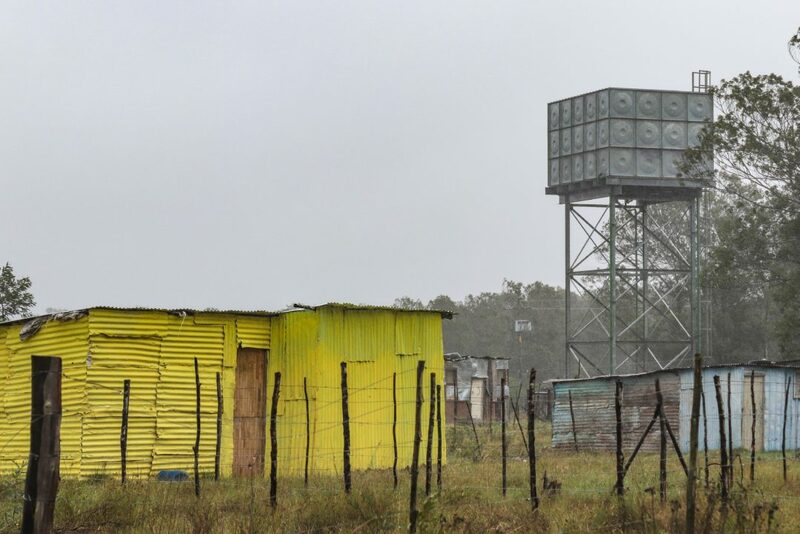 Mjadu lives in Seven Fountains, a community of about 240 shacks just off of the N2 towards Port Elizabeth. Thirty kilometres from Makhanda (Grahamstown), the area is surrounded by private game reserves and farmland. 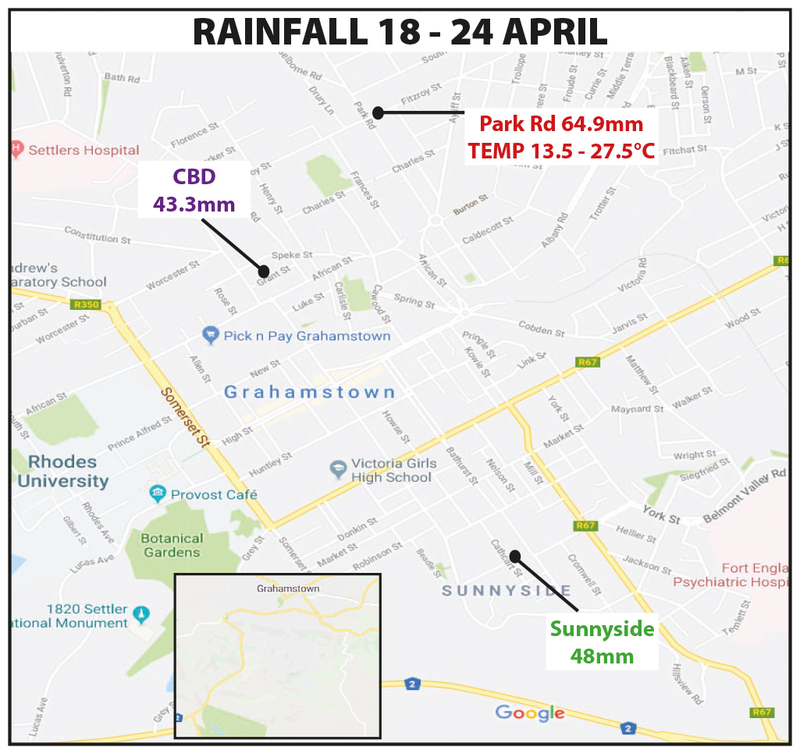 In a perfect world, the veld would be lush and the dams full, but as the Eastern Cape’s drought continues, perfection remains distant. Ironically, the day Grocott’s Mail visited the area our greatest concern was getting stuck in the mud. That’s right, mud – meaning that the rain was substantial enough to make an impact. Though our journalists did get a bit wet, the weather did not hinder our reporting. The small community has their own police station, primary school, creche and mobile government clinic; and like other rural communities, it seems that everybody knows one another. There is no formal water or sewer infrastructure, making sanitation and hygiene a concern for residents. “On sanitation we are really in a struggle, in order for us to serve ourselves we have to go to [the]bush. It’s humiliation,” said Ward Committee member Mkhuseli Antoni. Pit latrines are the norm in Seven Fountains, but only if you have a large yard; for others, the bush is the only option. Mjadu later told Grocott’s Mail that more than 10 waterless toilets had been installed years prior, but lack of maintenance has seen them go to waste. “When we ask for a truck they will say it’s broken or we have no money. Antoni stated that Lalibela game reserve had funded the sinking of one borehole in Seven Fountains; though the water is brackish and untreated, residents use the water for household needs. Other residents mentioned Lalibela’s involvement in the community; speaking fondly of the reserve’s willingness to help. Charmaine Gradwell manages Lalibela’s community outreach, and has high hopes for the future of the community. She confirmed that the borehole was sunk at the end of 2017. Gradwell stated that a number of Seven Fountains residents work at the luxury reserve, and says how heartbreaking it is to watch staff members return home to squalor. “I’d love their living conditions to be improved, but [that’s] all on a provincial level,” said Gradwell. Lalibela takes an active role in the community, but expects nothing in return. “We want to help them help themselves,” said Gradwell. Lalibela also supplements the government feeding scheme and supports Masakhane Primary School, and hosts a holiday fun camp at the recreation centre. The holiday camp is free and open to all children and includes arts, crafts, dancing and meals. Gradwell expressed that the camp was not only a way to keep kids off the streets, but to inspire confidence and value through art. 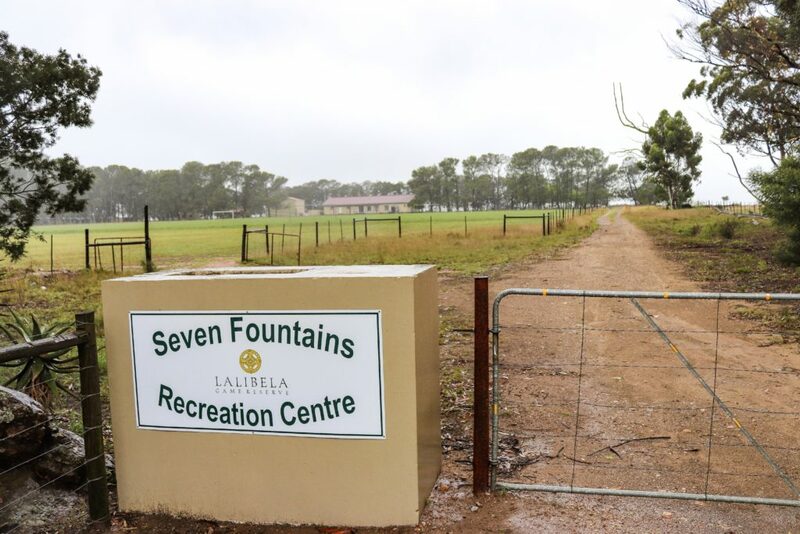 Seven Fountains is part of Ward 14 along with Alicedale and surrounding farms. Last week our team reported on the gross service delivery issues in Alicedale, including sewage leaks and a diminishing water supply. Lalibela also sponsors the local soccer and netball teams. In late 2017, Seven Fountains residents took to protesting after months of neglect from Makana, closing the N2 and demanding to speak to the mayor. However, Mjadu stated that this was no longer a plausible method. “We stoped ourselves, [because]this is not going to help us. “As we speak now we are having a crisis of scholar transport,” said Mjadu. This issue was brought to our team’s attention by several other residents, with one resident taking matters into their own hands, making two trips per weekday to ensure 32 learners get to and from school in Makhanda (Grahamstown). “We are having that challenge here and I’m telling you it’s frustrating,” said Mjadu. 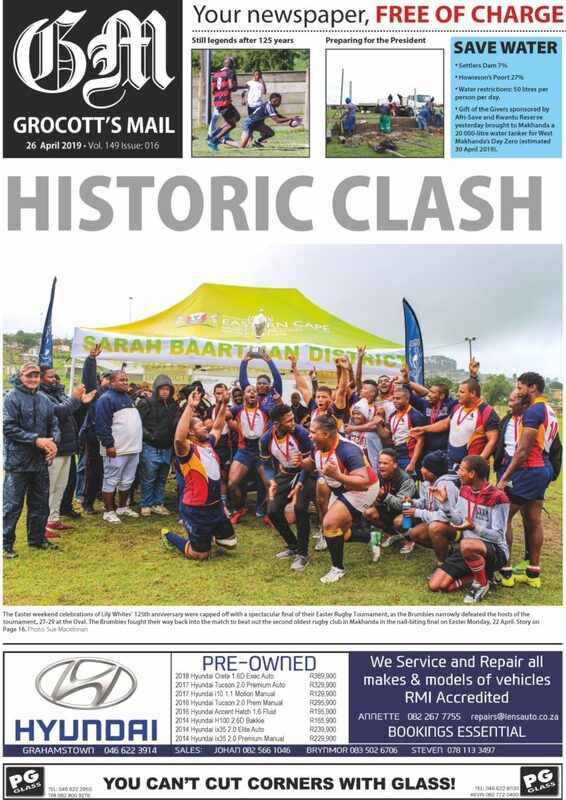 The Department of Education Grahamstown Circuit was approached for comment regarding Seven Fountains scholar transport, but could not respond by the time of publication. Grocott’s Mail will follow-up on this issue. 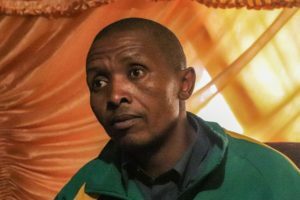 Antoni stated that roughly 120 learners attended the local Masakhane Primary School, and with few teachers, learners of different grades were lumped together for classes. Antoni stated that there were currently three teachers at the school, including the Acting Principal. “We don’t have computers here, so that is another problem,” said Antoni. “We do have a library, but it’s not like those in Grahamstown. Antoni and Mjadu spoke about the high dropout rate, leading to issues involving drugs and alcohol. “The politics of this government are good on paper, but when it comes to implementation, that’s where you see the holes,” said Mjadu. “At the end of the day, when we sit down as this community, we say ‘guys let’s take politics aside her, let’s focus on what the residents of Seven Fountains want, and what we can do better,’ so elections come and go, but it’s also your right. “What I always say to the people, don’t go and vote with your heart, vote with your head. Above the loud pitter-patter of rain on the tin roof, it was clear to our team that Seven Fountains had a lot to say. Along with the drought, Seven Fountains faces many other issues that hold a tight grip on the community’s future. Grocott’s Mail will continue to report. The community of Seven Fountains makes use of a number of outside pit latrines. Several trees in the area also threaten the property of residents. This tree is leaning dangerously on one of the pit latrine structures. Photo: Stephen Kisbey-Green. Investigative journalist; health, human rights, politics and environmental stories.